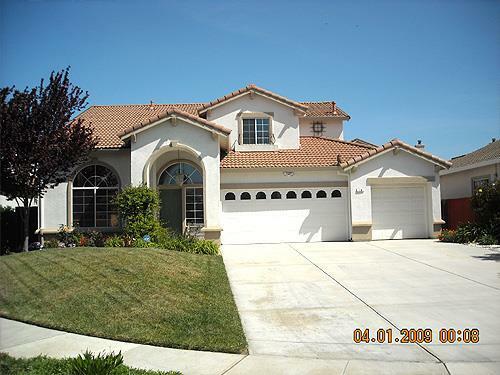 Beautiful home on quiet cul de sac with great curb appeal. Formal living and dining room with hardwood floors, huge tiled kitchen with center island, family room with corner fireplace, bedroom and full bathroom down stairs perfect for in-laws or guests. Home is a 3 bedroom with large loft that can be converted to a 4th bedroom ( done as a den option when new) Large storage room or office built in 3rd car garage but easily removed if desired.